Beauty shines through in a persons character. A portrait should capture something special about the person. That special thing comes out in many ways. A different way in everyone. It’s always there. You cannot edit it in. But you can sure edit it out. Perfect lies are created when your edits make a deception of the original picture. I love working with older people. Their characters are full and their faces tell you a lot about that inner person. Through their face they shine out as people who have experience and depth. That complements the story they tell you in words. 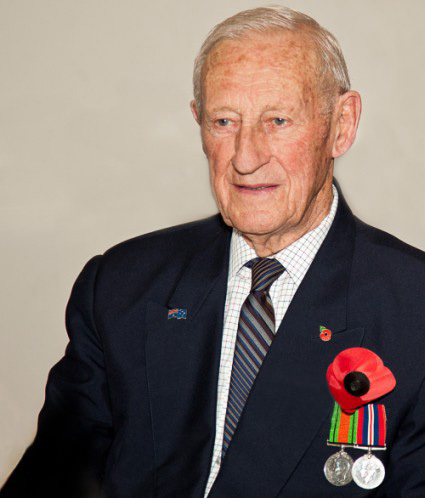 At a recent shoot I was lucky enough to meet a large number of veterans. We talked and I made photos of them. It was a lunch held in their honour. Many of them talked about what they did in the war. There was pride in the service they did. They talked less about what happened to them. I sensed a deep sense of melancholy in some of the words I heard. It was clear that these people remembered much more than they told. Beautiful people are much more than just lovely faces. In our modern culture we shy away from imperfection. Every magazine shouts about the perfect in something. Faces, homes, products and many more things show some aspect of the perfect. Other media are the same. In the faces of these veterans I saw perfection of a different kind. A completeness that comes with age. It is not the wrinkles or the blemishes. Those are surface things. It is about the roundness of experience, the depth of feeling and an acceptance of the world. The images I made of these lovely people will not be found in magazines. They were not perfect pictures. These beautiful people showed the many imperfections we all know come with age. The point is, to me, that makes them all the more beautiful and interesting. The modern media that sell perfection create a world of perfect lies. The beauty in a person is swapped out for the false beauty made in Photo editor applications. My gentle adventure at the veterans lunch is the opposite of the smooth perfection found in the media today. I have nothing against skilled editing. Photography today demands precise editing. Perhaps to a greater degree than in the past. To develop a photograph always involved a certain amount of editing. Today, photo editors give us much more editing power than the people using chemical films had. It is this power that allows the creation of perfect lies. It is a shame that the power of photo editors has taken the art to beyond the true story of the photograph. I use edits in my photography. It is an important way to bring out the best in an image in post processing. However, I draw the line at creating a fiction. For me everyone has a beauty that can be shown in some way or another. You don’t need to create a fiction to bring that out. Perfect lies are told by the creation of a deceptive fiction by editing. In the video below we can see this fiction emerging with every stroke of the brush. I question the validity of such work. It is not photography. It raises questions about how the media manipulate our view of women in particular. And other aspects of our everyday lives are affected too. I know there are arguments for and against extreme edits. 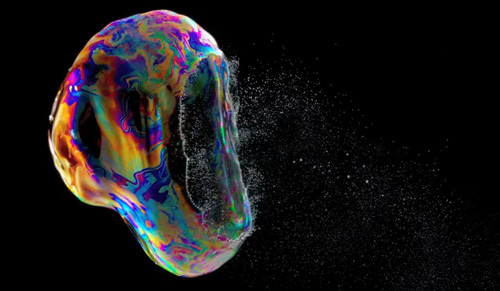 In some cases they create art. But the perfect lies are there when there is deliberate deception. Once a picture tells a story to deceive with intent, actual damage can be done. Modern media would have young people believe that gaunt is good. So many women hate their own bodies because they do not fit the size zero myth. Those same women have beauty of their own. They have had it all along. It is just taken away from them. It is flushed away by unreasonable expectations and the perfect lies of modern photo editing. That is a very sad thing. In the video below is an extreme make-over sequence. While it shows great skill, it tells a story that is a clear deception. It is important not blame people for this work. There is no conspiracy. This work is a cultural mindset. It is one we need to be aware of in our own photography. For me it is one I would like us to leave behind. If you are interested in some other extreme makeover videos there are plenty. YouTube has pages of them. Here is a sample of perfect lies in the making… PhotoShop extreme makeover videos. Things in photography that are not true. Putting your photos to good use as gifts and crafts. Why do you take photos? Most of them are never used. We all like to see our shots when they are finished. But the vast majority go unused. They’re left in a folder for storage. What about actually using your photos? Artists have many different ways of using their shots. But most of us do not. There is more to art than its existence. It must be seen too. We put a lot into our photography. Shame! All that work and energy – then nothing. Maybe it’s time to think about what we can achieve with our photos. This is a chance to get motivated for something more. Framed photos for friends and family . OK start with easy ones! Fridge magnets are fun and can hold your photos . Photo key rings make great little gifts . Pop a photo into a bottle then fill it with coloured sand to hold the photo against the side – an interesting ornament . Using your photos transferred to a wood block – an unusual ornament. Photo gift tags for presents and special occasions – use a tag punch to make personalised gift tags and mementos . 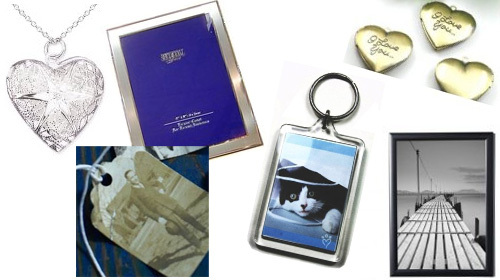 Photo-lockets are highly personalised and make great gifts . You’ve seen some ways you can use your photos for craft projects and for great gifts.You will get great satisfaction for using your photos to make others feel good. There are many other ways you could also use this craft idea. You can help some people who are not as privileged as you. These ideas make great revenue raisers for charity and care organisations. If you work for an organisation that needs to raise funds think of ways you can use these inexpensive methods of making things to sell. Benefits and fund raisers are great places to raise extra cash. Charities are ever grateful for such support. There are probably many more crafts, and ways you can help others by using your photos. Have fun. Help people feel good. Check out some of the links above and come up with some ideas of your own. I love that photography gives lets me opportunity to indulge more than one passion at once. 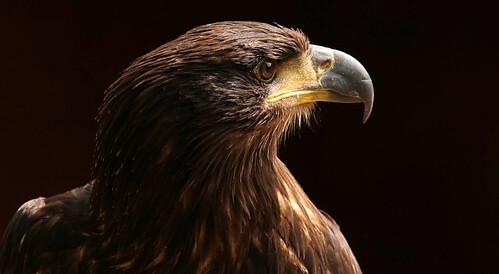 I love birds of prey and I love photography, the two passions are complementary. We all appreciate the variety of the photographic craft. The interest and experience differs for all of us – except we share the passion. Here are nine other things photographers can share. Image taken by Jeff Widener of the Associated Press, from a sixth floor balcony of the Beijing Hotel. The Tiananmen Square protest was an iconic photograph that moved a generation. There are so many things in modern life that grab our attention that it is easy to forget the most meaningful things. Photography has an exquisite power. It can both crystalise a story in an instant and move the world. The very existence of some modern photographs has moved people and created extraordinary outcomes. Photography has that power on a world scale, and a family scale. Photographers can use the power of photography to raise the emotional pitch, bring tears or move a generation. If a picture is better than a thousand words, the power of photography to pass a message is absolute. It is amazing that I can say, “I love you!”, with a carefully thought out click of a button. With just the same determination I can express my anguish or make make someone’s heart ache at the beauty of nature. Each time I click the button I like to think about what I am trying to say. If my image tells a story, communicates some meaning, then it succeeds. Photographers are communicators and we all share that responsibility and privilege. Even the simplest family snapshot is precious. Some of the most important events of my life have been preserved through photographs or because I held a camera and made an image. It is in those moments in which we feel so close to others that photography expresses itself most intimately. Family, friends, co-workers and correspondents across the world share an intimate connection through their presence on a photograph or the act of sharing a photograph. Photography has the power to knit people together. Photography has an awesome power to remind us of the good, the bad and the ugly events and times in our world. An individual photograph can be manipulated to create fiction. However, the collective memory of horrors like the Nazi atrocities in the Second World War are kept alive by the wide spread of stark images and horrific documentation from diverse sources. We are reminded of the past in very real ways by our photography. Any one of us photographers could, at any moment, make the picture of the century. Take your camera with you everywhere. It may be a picture you make now. For your grandchildren it may be history. When the button is pushed a story is made in the instant of a second it takes for the exposure to form. So much can be captured in that moment. The story of an instant is somehow more powerful than an hour-long documentary. It sums up so much about the situation, the people and the detail. 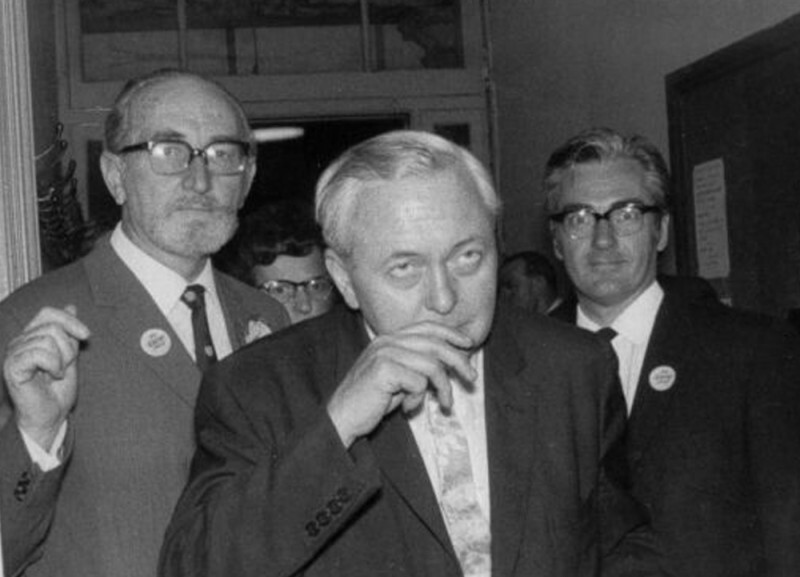 My father (right hand side) after a meeting, pictured with Harold Wilson (centre) shortly before Wilson became Prime Minister. One shot, in an instant, tells both a family story and a national event. The moment of creation in a photograph is both unique and a shared experience. That instant will never happen again, yet we all recognise at least some of the imperatives in that capture. As photographers we share the power to see and tell stories through our pictures. So much of the photographic history of the world is about sharing. Collective experiences are seen in the most iconic photographs where historic memories are captured, right through to the humble wedding of your neighbour. At all levels in our society and in all aspects of our cultures we share our experiences with our friends, loved ones and comrades. Since the time of cave paintings humans have recorded collective events that draw the community together. 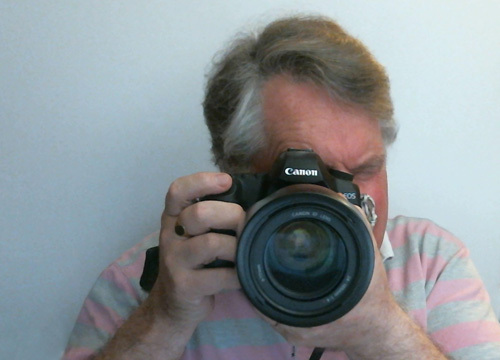 Today our photographs continue help us to form communities and provide a focus for them. There is no better example than online photographic communities – great communities where a love of photography is shared with a passion. Seldom do we think of the author when we see a photograph. We are focussed on the subject and the meaning we see in that image. Photography is a medium where the outcome matters more than who made the image. Despite race, religion, gender, colour, sexuality or legal status your picture can compete on a level with all the others. Photography is truly an open and classless pursuit. I love that we can be all equal and have our own point to make. Photographers the world over share an equality that surpasses many other aspects of our societies in an unequal world. I celebrate diversity, welcome it, and rejoice in the fact that I am part of a community of photographers worldwide with whom I can share a common interest. There is nothing more special than love expressed between people. Photography shares with other visual arts the ability to help us express our love. But the immediacy of photography can bring alive the imperatives of a loving relationship with graphic explicitness. Weddings, the kiss, love pictures and even the boudoir are just a few of the myriads of ways we can express the joy of love through photography. If there is one thing we photographers should share and spread around it is love. Of all the things we will gain from photography, keeping alive personal memories must be one of the most important. As we get older the fleeting moments of our youth, which seemed to pass so quickly, become very precious. As photographers we have a wonderful opportunity to preserve our memorable moments for ourselves, our loved ones and descendants. We should not spoil the moment just to be behind the camera. But, we should enjoy the moments we take to capture the memories so that in the future we may recapture our lives all the more vividly and share them once again with others. Take every opportunity to capture images of those you love and who mean a lot to you. Blurred or ill-conceived, harsh or badly exposed, you will treasure every one in the future. Photographers can share and give so much to the world. If you have some others to add to my list please leave some comments below. I would love to hear your thoughts.